merc logo Created with Sketch. Make your content work anywhere. Free. Mercury transforms web pages into clean text. Publishers and programmers use it to make the web make sense, and readers use it to read any web article comfortably. Turn any article into a clean and readable page with one click using our new browser extension. Make semantic sense out of any web article. Mercury Web Parser turns web articles into structured content reliably and easily. 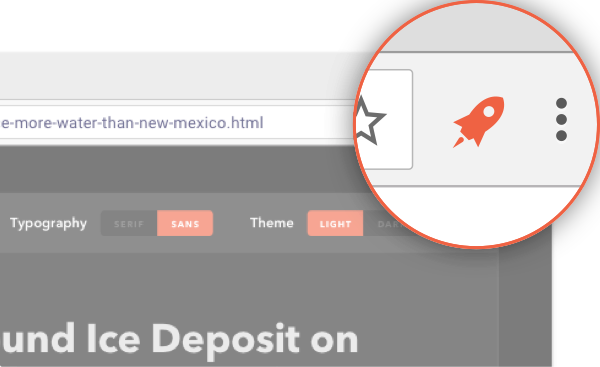 With just one line of code, Mercury AMP prepares your publication for Google AMP. Get lightning-fast load times and boosted search results on mobile.